He may not have been born in the country, but this 22-year-old wunderkind was the first to grab headlines, and shine the spotlight on Indian basketball much brighter than ever before, when he became the first player of Indian descent in the NBA — just months before Satnam’s breakout moment. Just one night later, Sim also became the first player of Indian descent to score in an NBA game. “As a kid, you wish to be a basketball player when you grow up; you are not really serious at that point. But when I was around 13 years old, something clicked in my head,” he says, marvelling at the way his life has changed. “The NBA is a place where you really want to be. That’s what my goal is: to stay there. I have learnt that you ought to be the first player in the gym every day, the last one to be out, and make it clear to the veterans through your work ethic that you are good enough to belong there.” It is precisely this attitude that got him called up from the D-League’s Reno Bighorns to its parent club, Sacramento Kings. 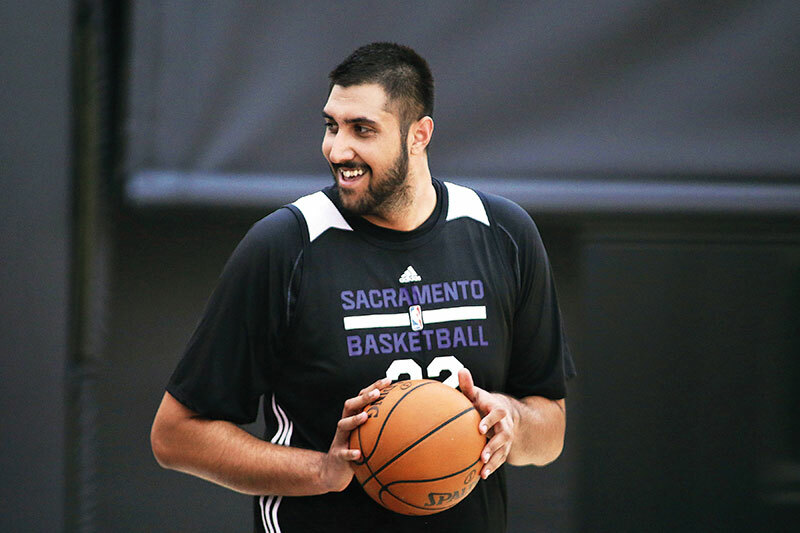 Born in Toronto, Canada, to Punjabi parents, the 7-foot-5-inch-tall ace has bravely decided to shoulder the responsibility of being the kind of ambassador for Indian basketball that will change the face of the sport back home forever. Not too long after his big moment, Sim was in the country to promote NBA India’s grass-roots programme, and even inaugurated the first Reliance Foundation Jr. NBA Elite National Camp in Noida on May 4.